Steampunk fans will love this old-fashioned gas mask motif. What better to use in your artwork when creating something DaDa than this. It measures just over 2-1/4 inches high by about an inch 1 inch wide. 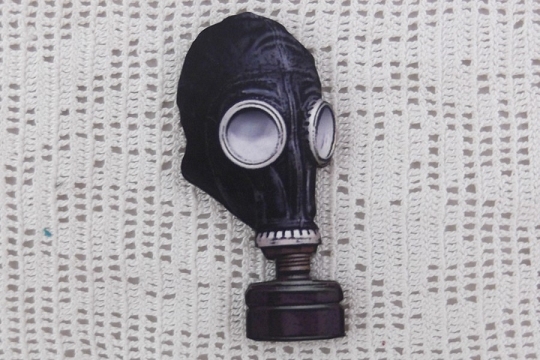 This motif has been laser cut from 1/8 inch thick Baltic birch and we see all the detail of the gas mask.